My little buddy is turning two! 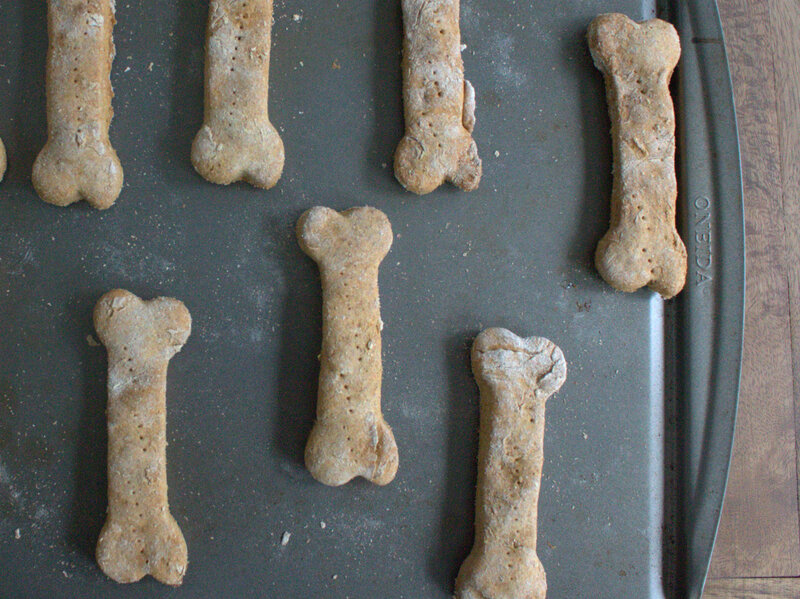 And to celebrate I experimented with some homemade dog treats. 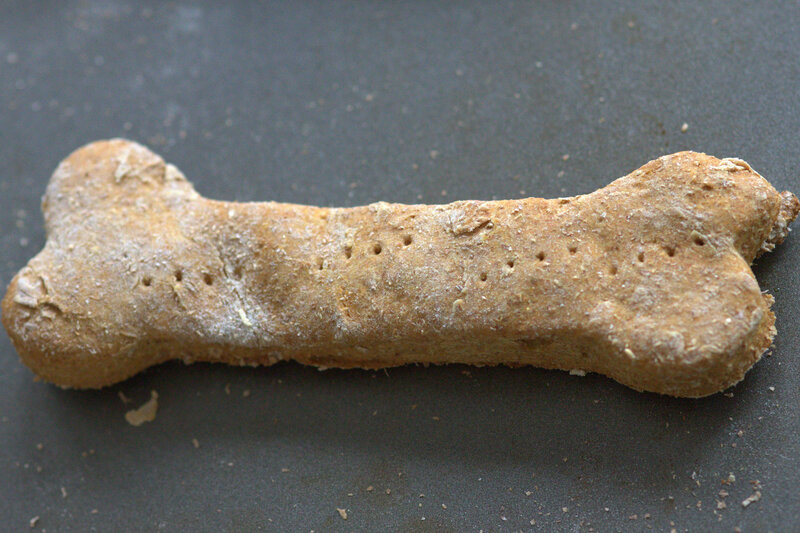 Everyone gets pretty excited about keeping their pet’s diet “grain-free” these days, but… these are mostly wheat flour. They don’t appear to have ruined his life or his shiny coat yet. 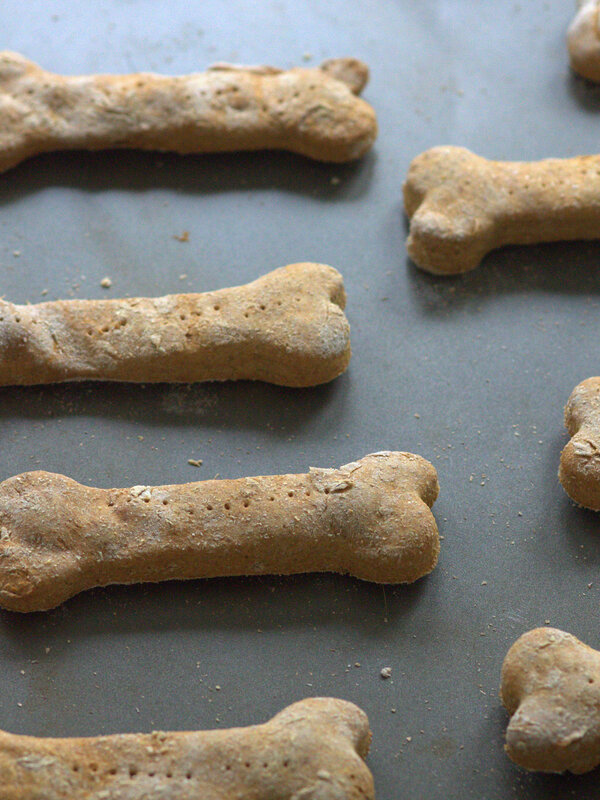 One of the most useful things about making these treats is that I was able to use up some leftover ingredients (the sweet potatoes), and then I popped most of the dog treats in the freezer to use later. 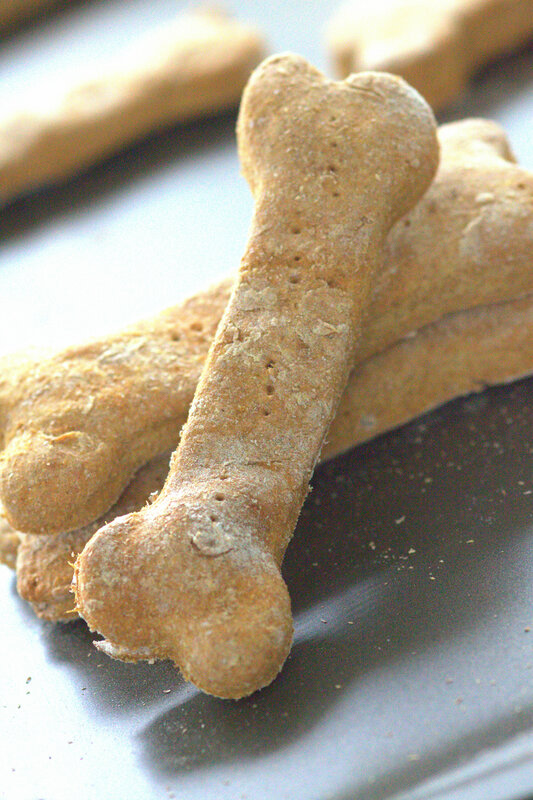 If you leave them sitting at room temperature, they won’t last very long – maybe three days at best. If you’ve got some frozen treats on hand though, life is good! In any case, the recipe I followed is based on the one I found here, but with slight modifications. Preheat oven to 350 degrees. 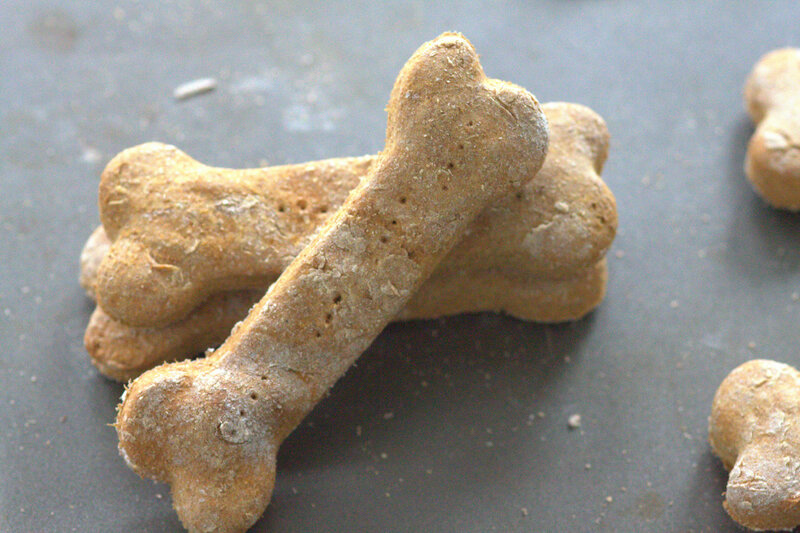 Mix all ingredients together until uniform, then turn onto a lightly floured surface. Knead and mix in additional flour if required to keep the dough from being too sticky. Press into a flat layer about 1/2 inch thick. 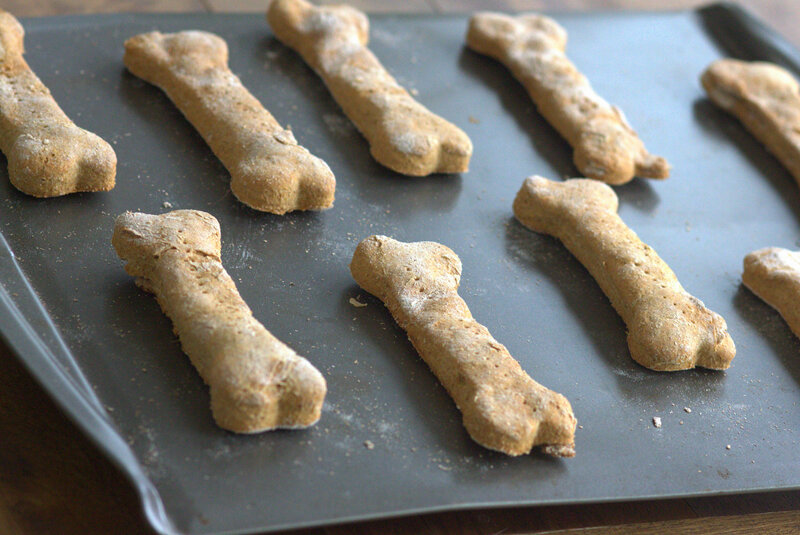 Cut into cookie shapes or strips, and place on a baking sheet. Bake for 35-45 minutes or until firm/crisp. Look how well he is behaving in that picture! Happy early birthday to your little buddy! 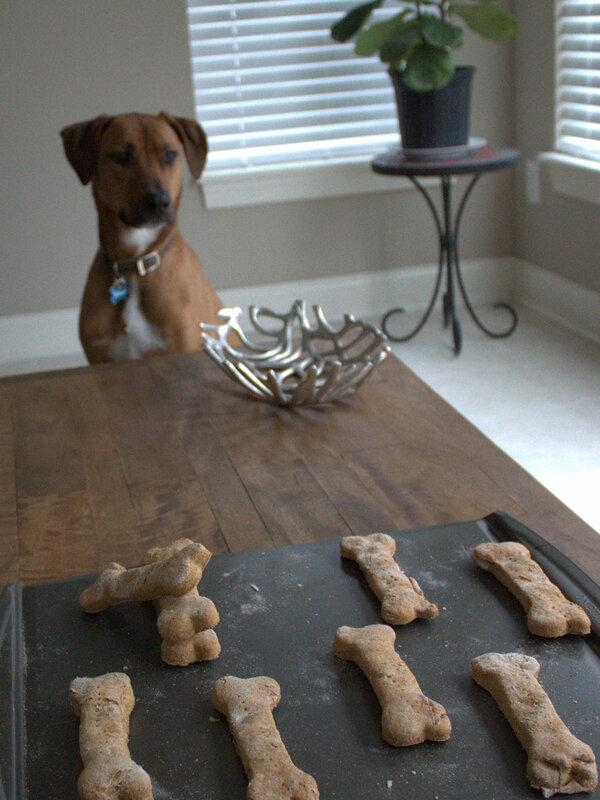 Haha, I know – I’m always torturing him by putting food on that table for pictures!